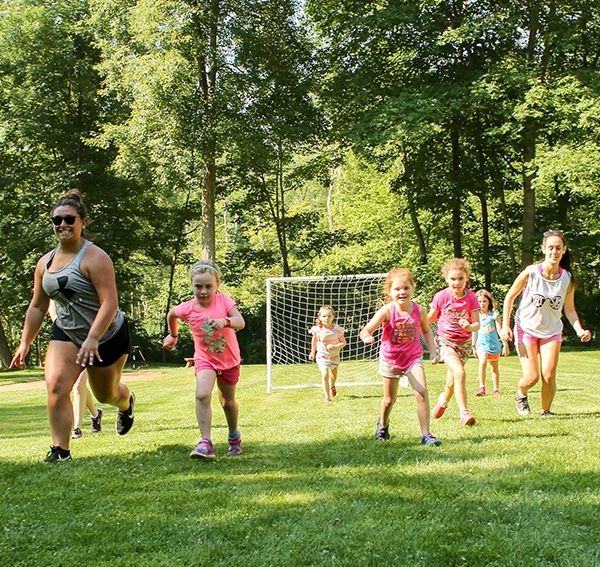 In sports, as in everything else, we are all about making sure every child has the best possible summer camp experience. 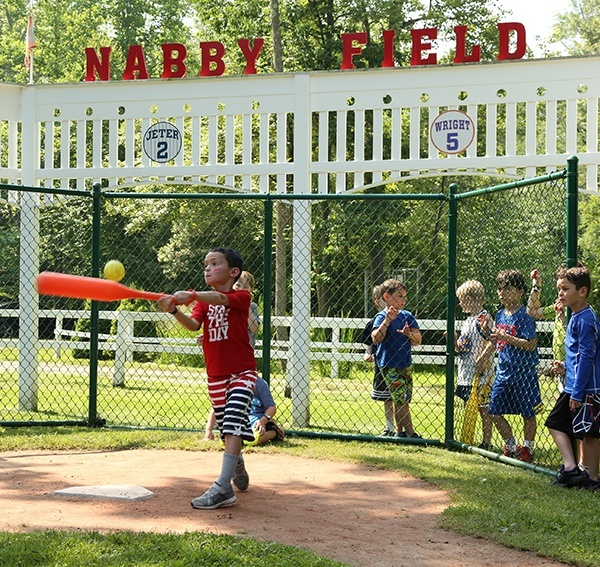 So we have specially scaled soccer and t-ball fields for our younger campers. That means our Pre-K and Junior kids can all get a foot on that soccer ball, score a goal, get a base hit, or even a home run! 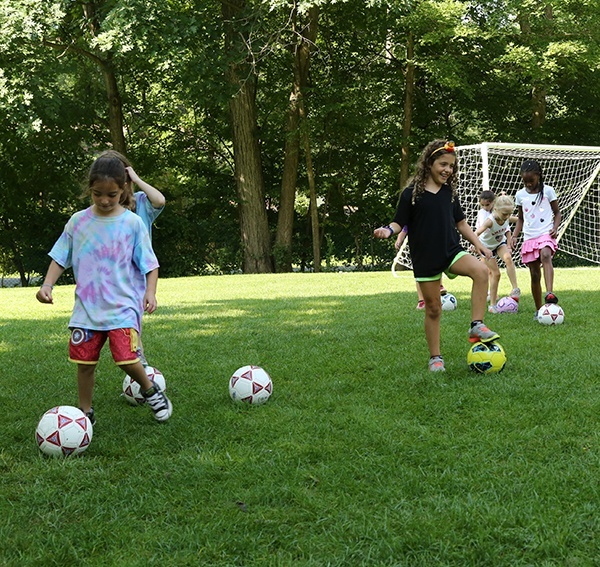 Older campers use our two larger fields for soccer, team handball, and lacrosse. 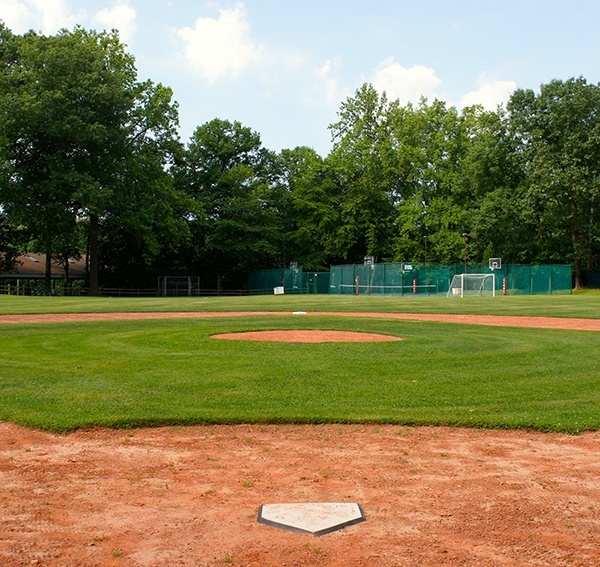 Two beautifully manicured clay infield base fields are used for softball and kickball. 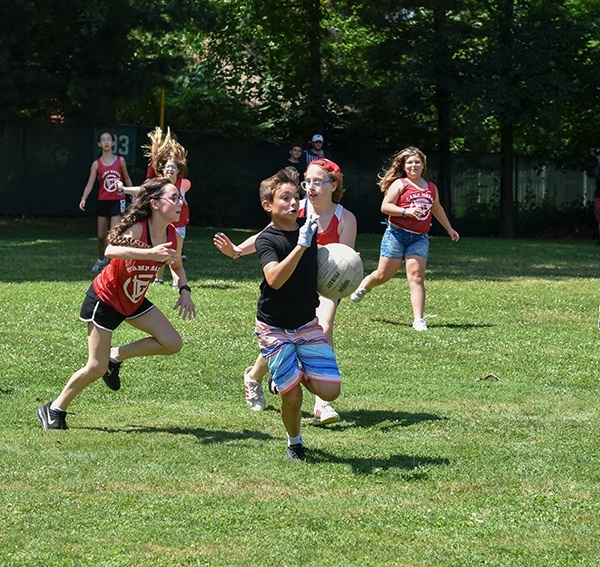 We also have two additional all-grass fields for kickball or wiffle-ball.